Located north of Squamish, the 11,351-hectare Tantalus Provincial Park provides several recreational adventures including hiking, climbing, fishing and advanced backcountry skiing. The park’s crown jewel is an aptly-named lake called Lake Lovely Water, a serene sub-alpine lake that despite the effort required to reach it, will reward you immensely with 360-degree views of old-growth forests and glaciers. The lake is stocked with trout making it a great spot for angling. Trail access to Lake Lovely Water is located on the west side of the Squamish River. A canoe or boat is needed to cross the river. The hike to Lake Lovely Water is 6.5 kilometres and takes approximately 4-6 hours to complete. Please note that the trail is both steep and rugged. Good route-finding skills along with appropriate clothing, footwear and gear are essential. A public-use cabin located on the east end of Lake Lovely Water is available from late spring through fall. The cabin is available by reservation only for $25. Walk-in camping is also available. For reservations please contact the Alpine Club of Canada at 604.921.8164. There is also a hut located in the Lake Lovely Water Wilderness Area. 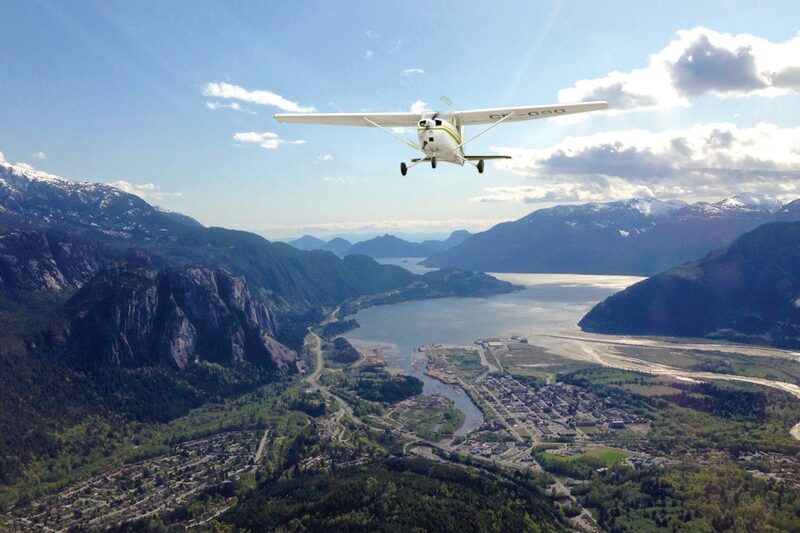 Travel west from the Highway onto the road that heads into the Upper Squamish Valley. Turn left at the fork in the road just past the Cheekeye Bridge. Two kilometres past the fork turn left on the unmarked dirt road. Travel approximately 2 km down this road to the river. The lower portion of this road crosses private property, and permission should be sought to cross from the landowner. Glacier Air has a park use permit to provide air taxi service to the area. Take a tour of the Tantalus Range from the sky and witness winter up close as you soar over the towering peaks and pristine glaciers. No lift lines required. Squamish delivers some of the best untapped backcountry terrain for a classic Pacific Northwest backcountry experience that’s both rugged and refined. Rock climbers from around the world flock to the granite cliffs and bluffs overlooking Howe Sound to test their mettle on some of the most beautiful and accessible rock climbing in the world. Hiking is the great equalizer. Accessible to anyone with a good pair of shoes, it’s simple living at its finest. Squamish has a whole host of hiking trails to choose from, ranging in difficulty from simple walks along the Squamish waterfront to the more challenging hikes on the Stawamus Chief.